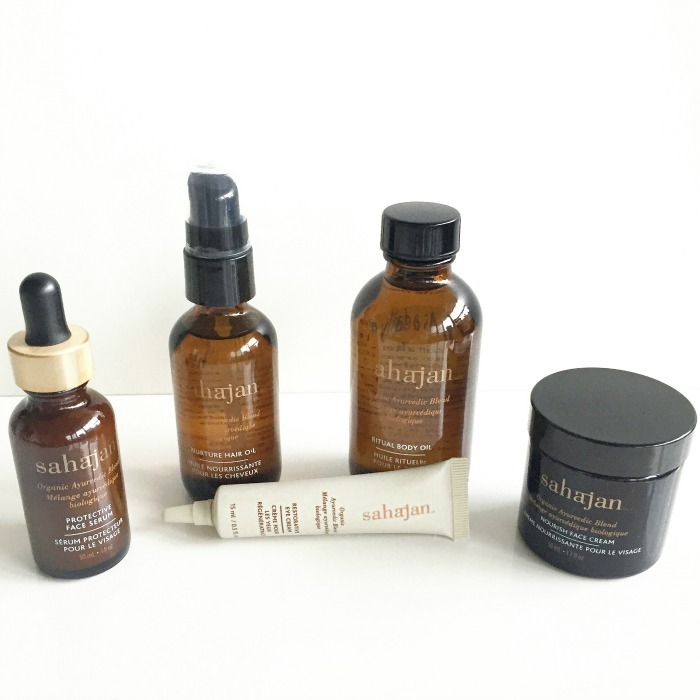 A while back I attend a session with the founder of Sahajan Skin Care, Lisa Mattam. She started the line of products after finding her toddler daughter putting her beauty creams all over her face. Worried about what was actually in the creams and what was going on her daughter’s face, she wanted to create products with organic ingredients. She turned to the ancient tradition of Ayurveda and modern science to create a line for those who are concerned with what they are using on their skin. Lisa worked with a team of scientists in Canada to formulate the products with the assistance of Ayurvedic doctors in India. She released five essential products for the face and body, all made with a variety of almond oil, alma oil, coconut oil, eclipse alba, got kola, honey, neem oil, sesame oil and triphala. Most of these ingredients provide hydration and nourishment to protect and brighten the skin or to condition and strengthen hair. Serums and facial oils are all the rage these days so I was excited to test out this serum, only to find it quite different than what I am used to. It’s quite thicker than your average serum, but during the winter months, this is something you would want. Hyaluronic acid plumps the skin to reduce and smooth fine lines and wrinkles. The serum combined with the face cream is very beneficial to dry skin in the cold months. This cream deeply hydrates while improving the skin’s elasticity. I have been using this in the mornings after I spray on a facial mist and apply the face serum. Although it’s thick, it contains coconut oil which absorbs into the skin fairy quickly. This was great as I didn’t have to wait long before applying makeup. This is a great eye product that can be used day or night. It’s light, and again absorbs quickly. The honey moisturizes the under eye area, prepping it for concealer. TBR tip: with the dry winter season upon us, my lips have been cracking along the edges and I have been actually applying this eye cream to it. It’s a miracle saver adding the moisture to seal the cracks. Who would have ever guessed it…adding eye cream to soothe lips?!?! At first I was thrown off by the colour of the creams and serum. 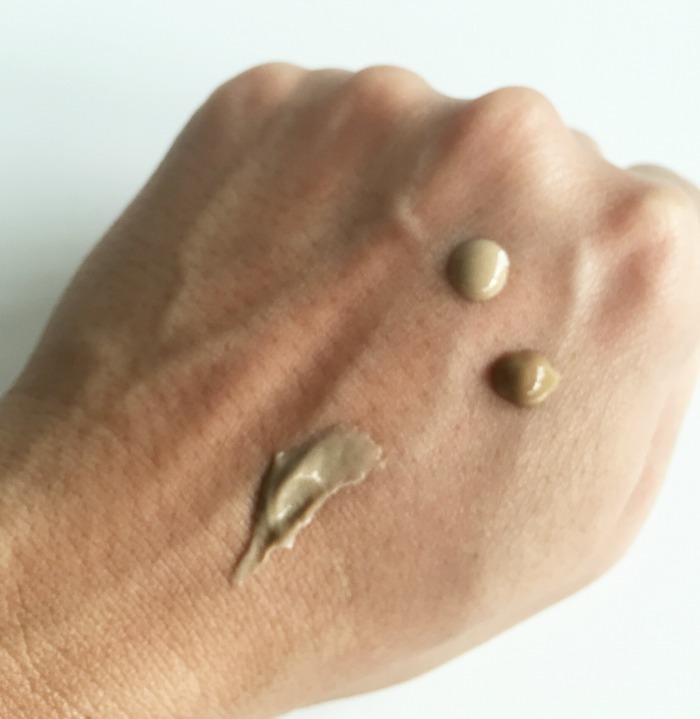 As you can see in the photo, the face products are not your typical white or clear colour, it’s actually beige/brown. It may look like it’s expired or old but it’s really the true colour of all the natural products being used. 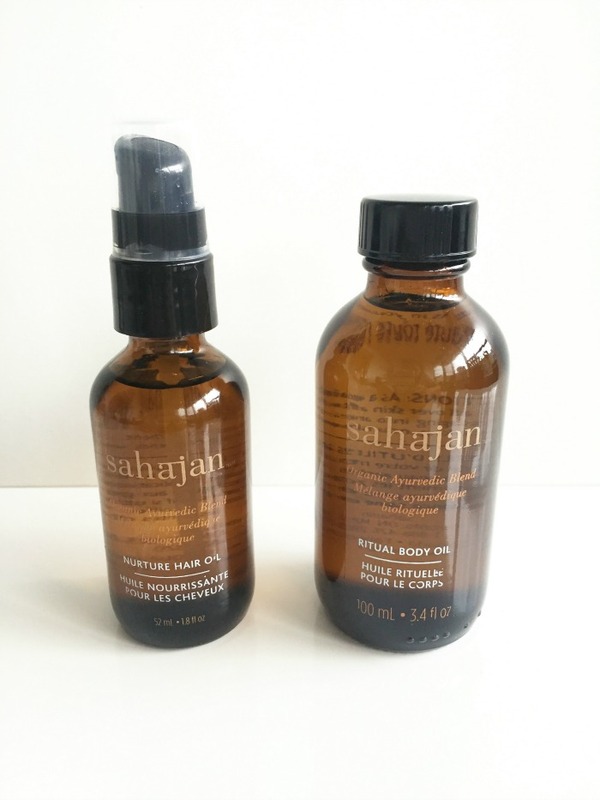 This oil is very nourishing for dry ends. I used a few drops on my freshly washed hair before I blow dry it to protect from the heat. For a deeper nourishing treatment, you can add several drops and sleep with it overnight (but I would wrap it up to prevent staining your pillow cases). I did try using some on my dry hair after styling it but I ended up staining my clothes because the pump would spray out in different directions. I would have to say that I am not a fan of this particular pump. Packed with several different oils like coconut, almond, sesame, avocado, sunflower, jojoba and camellia, it’s formulated to use every day instead of lotion. Applying oil right when you step out of the shower/bath really sinks into your skin, leaving it hydrated all day/night long. While I love how moisturizing it is on the skin, the bottle is very hard to use, as you just have to pour it out in your hand and it’s hard to control. Overall, I like the eye cream and face serum but I find the prices to be a bit over my price range since I am not necessarily all about natural products. 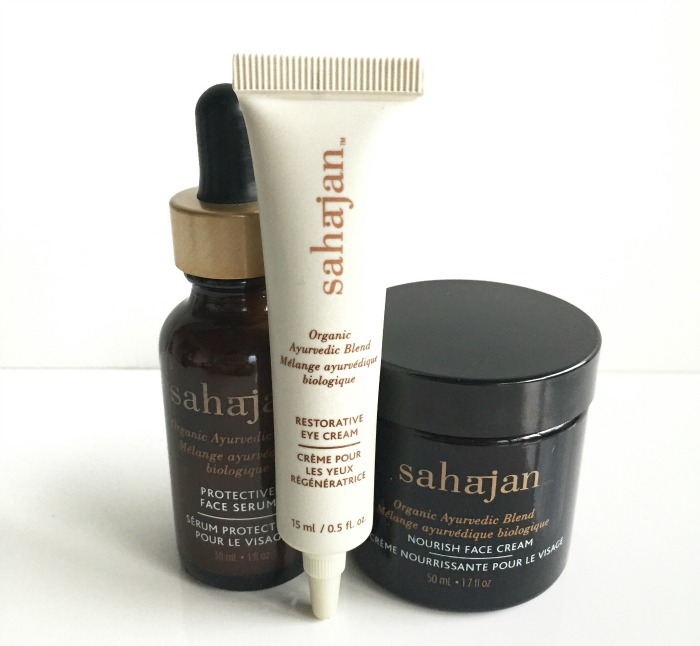 For those who are though, Sahajan skin care might be worth a shot. I didn’t find any skin irritations and although it’s not fragrance-free, it’s very earthy-smelling and easy to get used to. 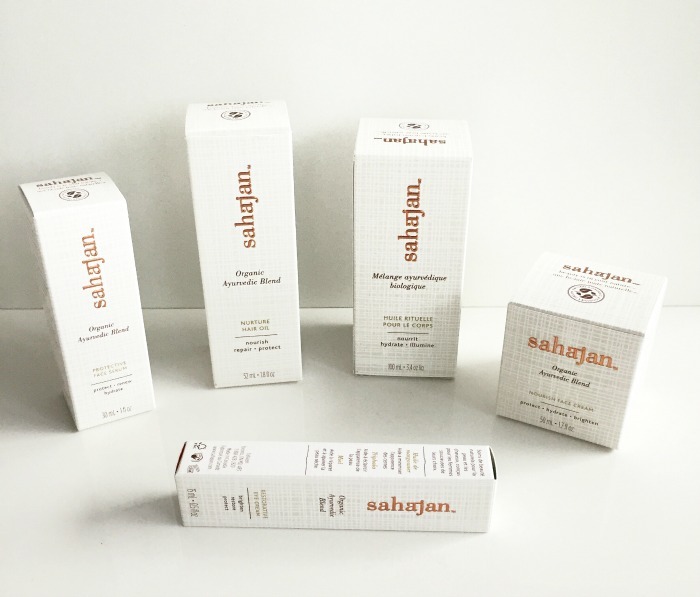 The entire Sahajan skin care line is available on www.sahajan.com.